The Titanic Museum is a wonderful Branson attraction where you will get to learn more about the tragic story of the RMS Titanic through hundreds of exhibits displayed inside the museum. This world’s largest museum attraction in Branson gives you a unique tour experience that pays tribute to passengers and crew who perished when the Titanic sunk in the Atlantic Ocean during its maiden voyage. This amazing Branson attraction is a beautiful replica of the famous luxury liner where you can see the ship’s bow ripping the icy waters of the Atlantic. Boarding passes will be issued to all visitors who want to board the Titanic Museum. 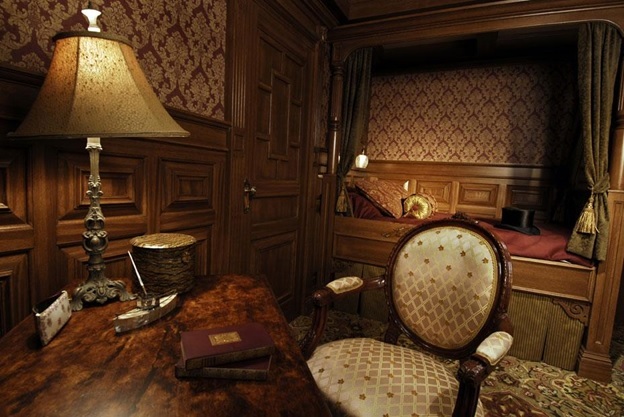 Once you are onboard the Titanic, you will find the museum so interesting that you can’t wait to explore on your own. The Titanic Museum offers guests more than just a typical museum, giving them a unique tour experience like walking the grand staircase, the hallways, first class cabin accommodations, the bridge, and even touching the iceberg. The museum is an exact replica of the Titanic giving guests the idea how passengers and crew of the ill-fated ship enjoyed briefly the fantastic voyage. This family-friendly Branson attraction offers an enchanting two hour-walk through tour, a unique interactive experience that you’ll not forget. The museum has a memorial wall that features the names of 2,208 Titanic passengers. Among the passengers, 133 of them were children. The feelings, thoughts, and experiences of the passengers of the RMS Titanic are greatly remembered in this unique form of display in the museum. The museum has a gallery that features a display of 400 personal items from passengers. The entire collection in the museum is valued at over $4.5 million. Your visit to the museum gives you the opportunity to step into the Captain’s bridge and the chance to see equipments such as compass, telescope, steering wheel and mapping table. You can also have the chance to touch the 28 degree waters, an iceberg, and shovel coal in the boiler room of the ship. You can also experience the sloping of the deck and the hoisting of the lifeboat as the ship is sinking. You will also get to learn how to send an “SOS” signal. The museum attraction also features one of the most engaging simulations that was ever created, the ‘TotTanic’ ship simulation. You can have the opportunity to use a real ship-steering wheel and telemotor that are similar to those used on the RMS Titanic. This interactive experience will be felt around the last 37 seconds before the ship hit the iceberg. The objective of the simulation is to avoid the iceberg by using both telemotor and the steering wheel to turn the ship in other direction to avoid the impact. If the visitor can avoid the impact, it saves the Titanic and everyone on board. A wonderful tour experience on the world’s largest museum attraction in Branson is an interesting onboard activity to enjoy as the museum offers a wide display of exhibits.